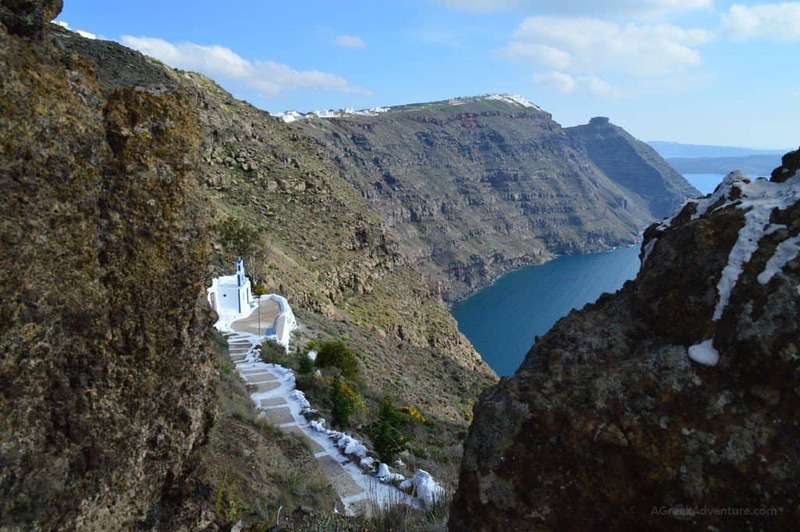 Many think that hiking Santorini Greece is something not real. 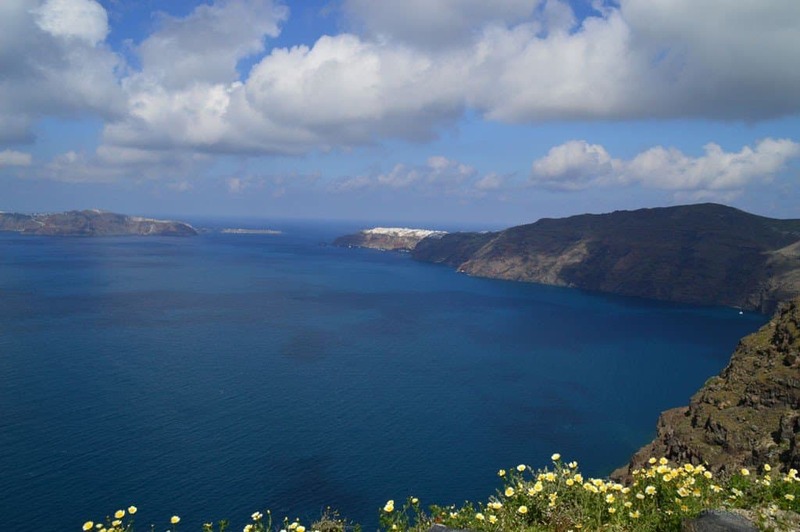 The well-known island of Cyclades is a popular destination for vacations, tons of pictures and some pretty nice beaches. But hiking? 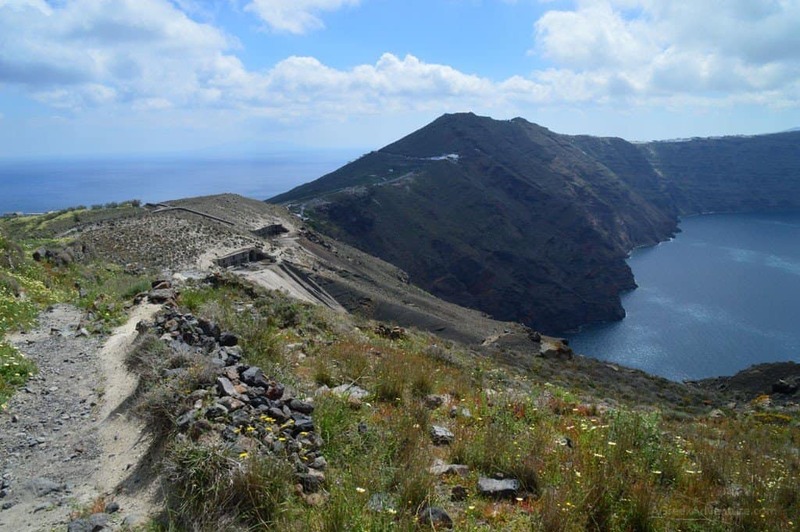 Yes, Santorini has some nice hiking routes. 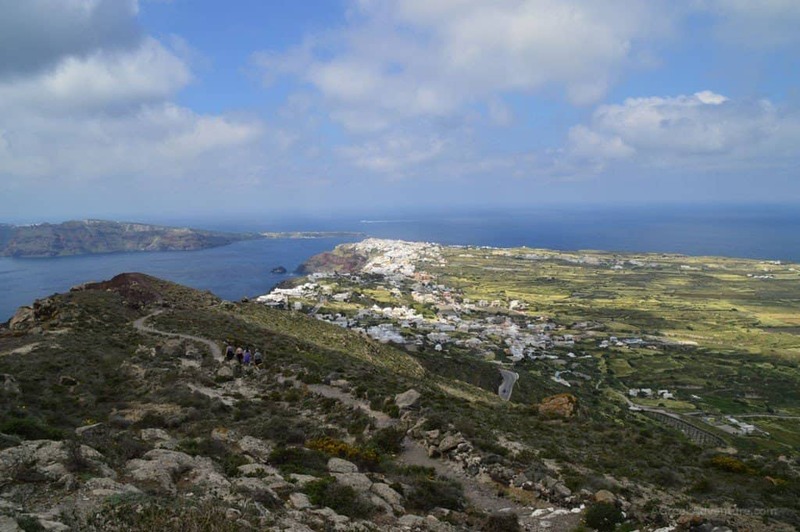 One that is most famous is the hiking route from Santorini Thira (the capital) to Oia. 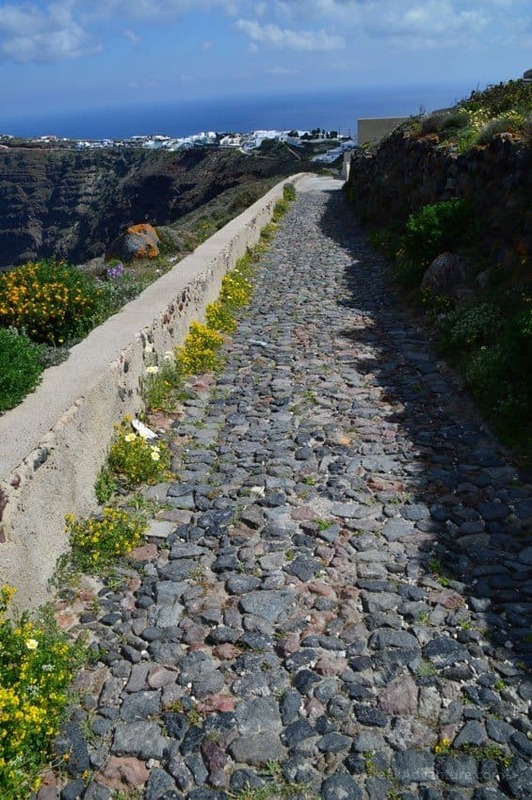 This route also goes through Imerovigli. 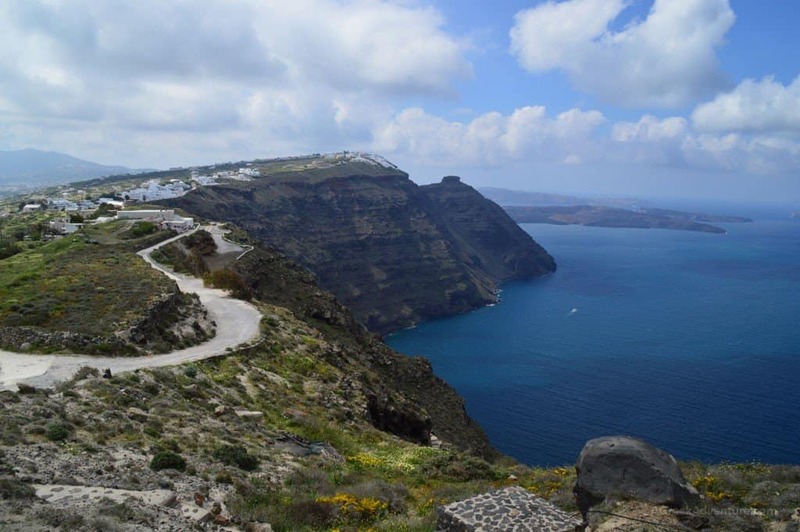 So, if you start from Thira, you pass Imerovigli and end up inside Oia. 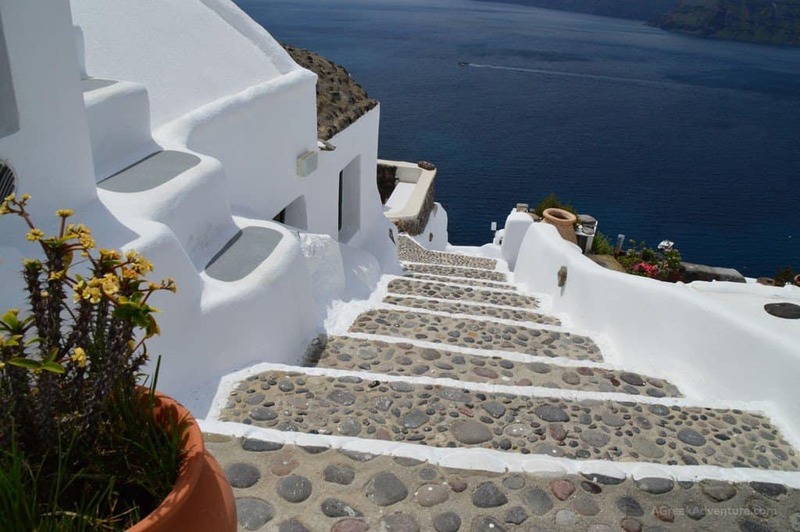 These 3 are the most famous locations/villages of Santorini, Greece. 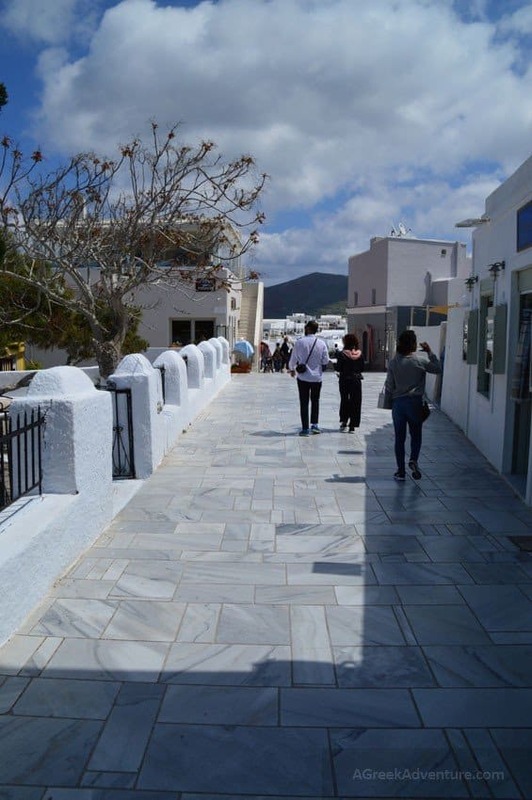 We started from Imerovigli since we covered Thira and Thirostefani the day before. 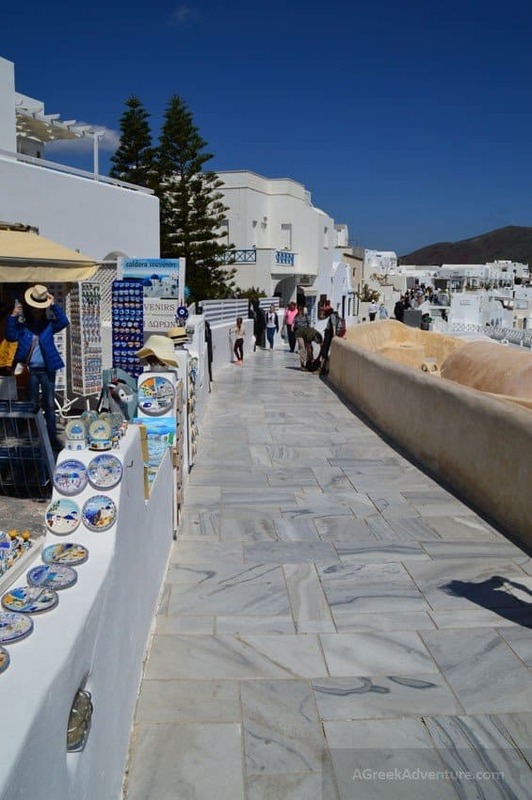 If you plan to do it in summer time, make sure you start a bit early as the sun of Cyclades will be hot, despite the “meltemia” wind. We did that in Easter time and it was pretty hot. 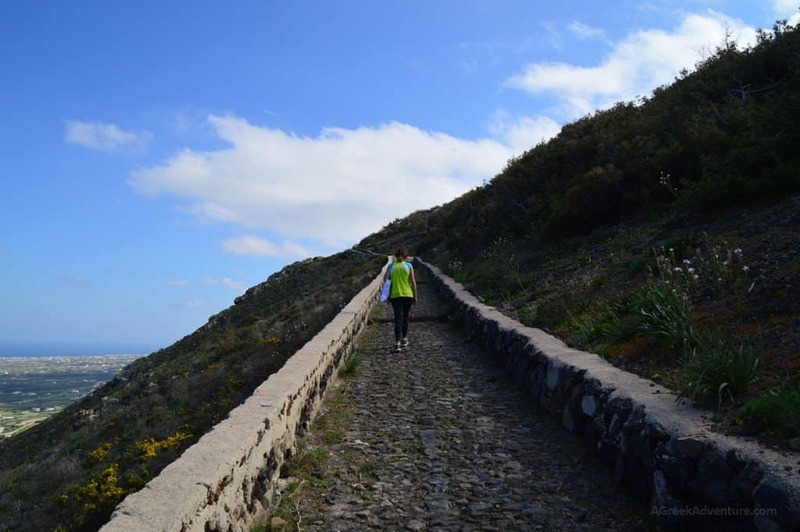 The route is very easy and is more like a long walk. It totals 10km (one way), and another 10km getting back, so total 20km. Not difficult but lengthy, though. The whole path follows the “coastline”. Pace and time are according to your frequent stops for pictures and admiring the view. With a relatively easy pace the route is around 2.5-3 hours one way. The whole route is along a paved path, with constant great view. Nothing is hidden to you and this is what actually makes the route great. 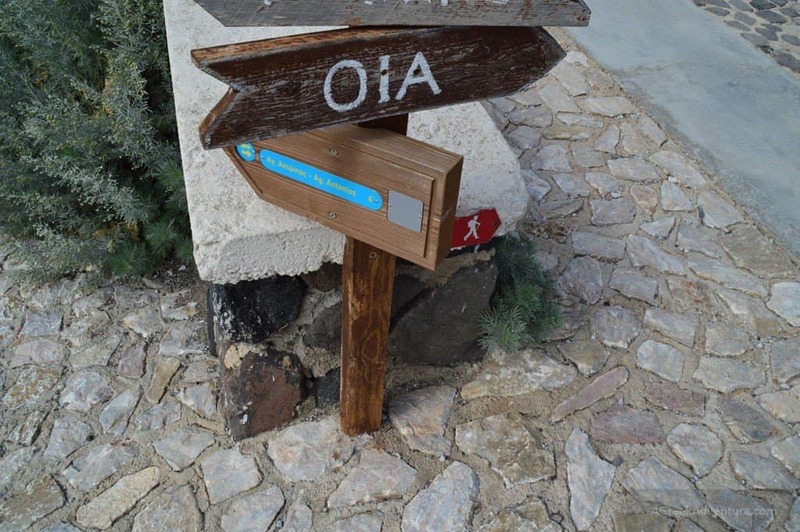 After Imerovigli you will find a hill where 2 paths start toward Oia, both ending at the same place. The one at the right takes you from the side where you don’t see the volcano. You can take the left when you go and the right on your way back or vice versa. This is what we did, to see both sides and different views. Spoiler alert: The view/side towards the volcano is the great one. 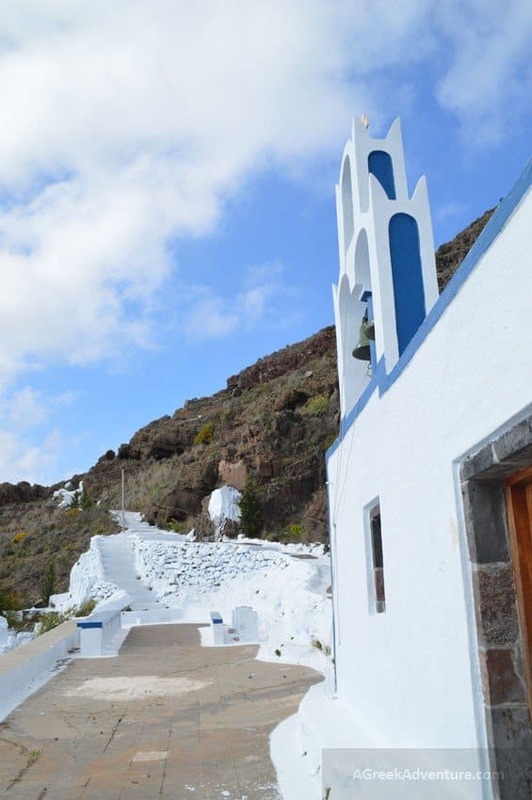 Along the route there is a small church that is based lower than the main route level (church of Saint Anthony). This is a very nice place for stopping and admiring the horizon and open sea. 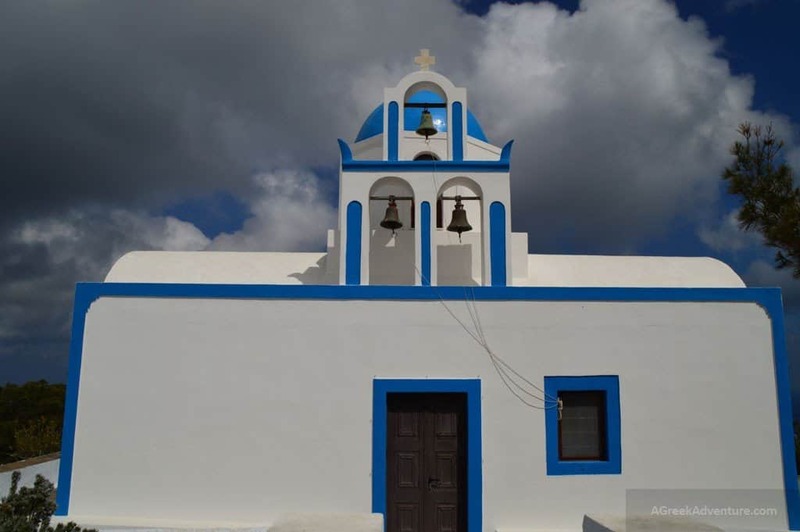 Before arriving at Oia, you will find a second hill with (another) church. 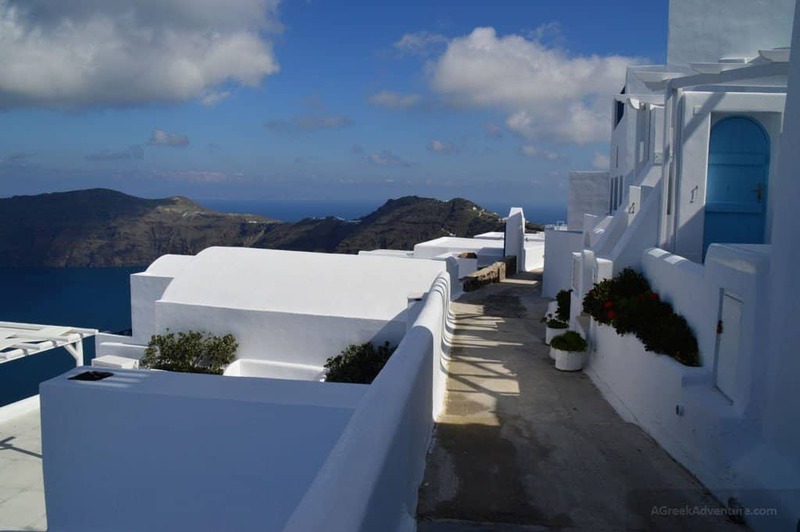 From there you will have a panoramic view of Oia. Pretty nice one. Getting closer to Oia main square. 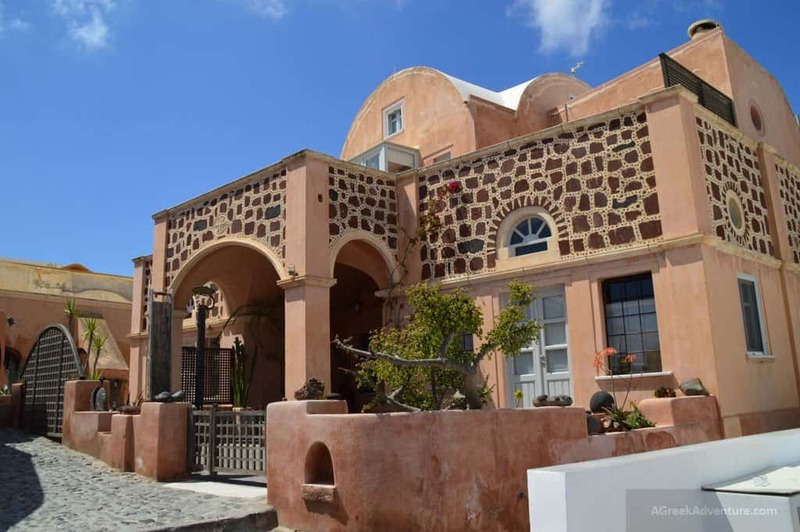 Here is the main square of Oia. This house really stands out. 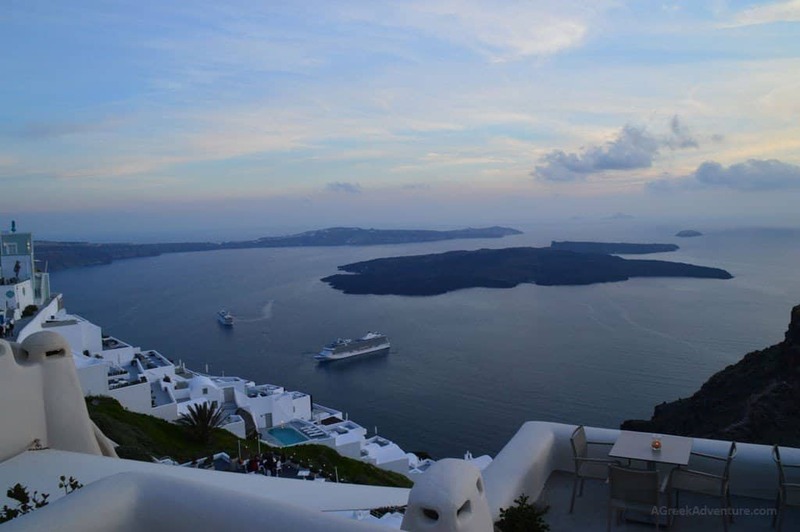 Oia is considered one of the most beautiful villages of Santorini Greece, known all over the planet for its beautiful sunset. 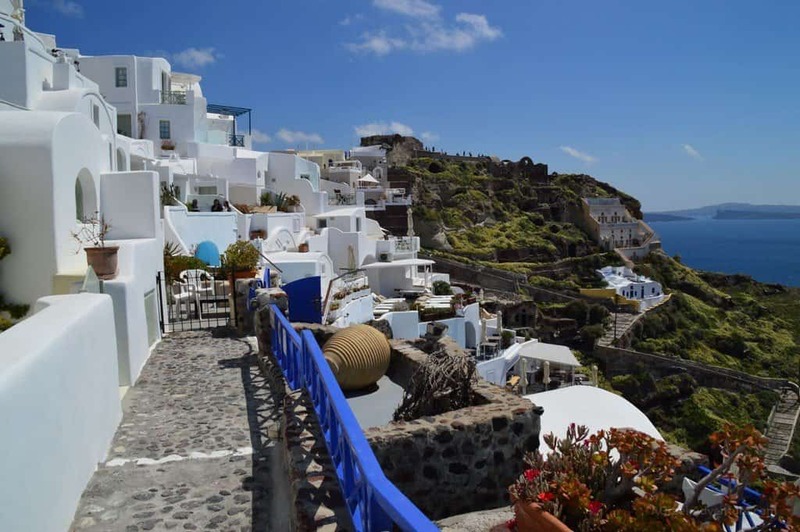 The thing is that sun is the same one as everywhere, but the combination of cycladic white houses with some of them colored differently, the color of the sea and how all these are “painted” from sun makes the whole scenery a magical one. 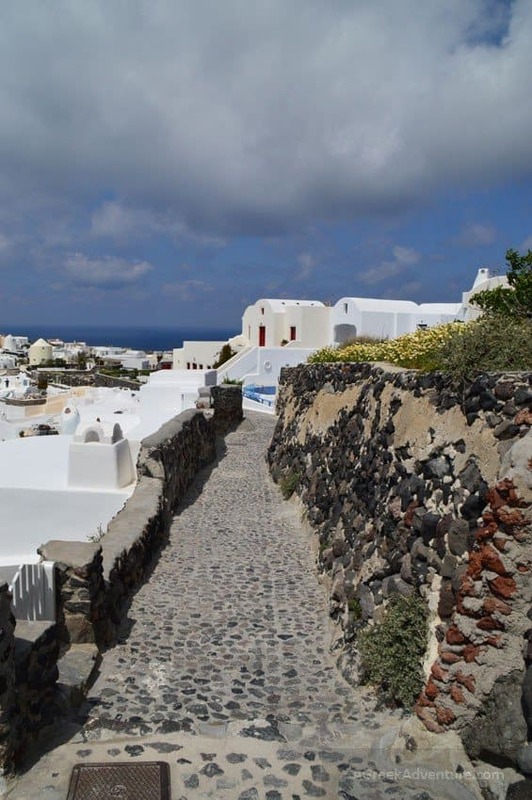 Here we are trying to “get lost” through the “corridors” and pathways of small apartments of Oia. 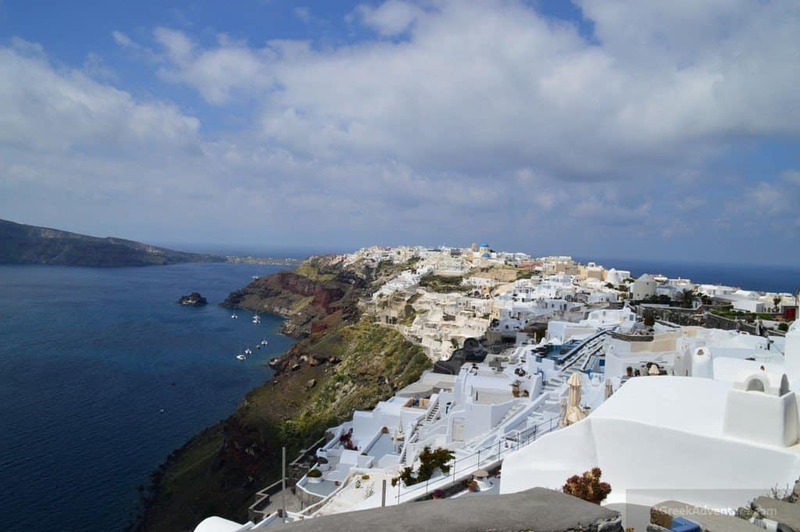 View of the small harbor of Oia from above. 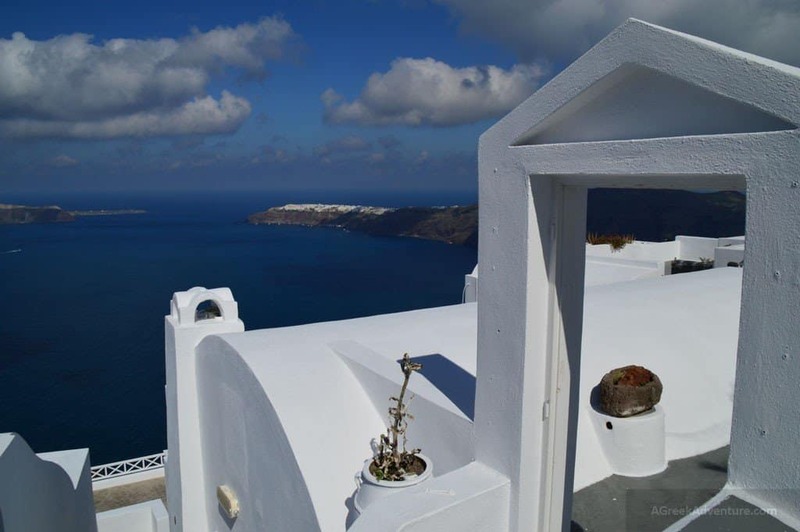 Oia can be a pretty nice place to take a rest and have a snack or lunch. 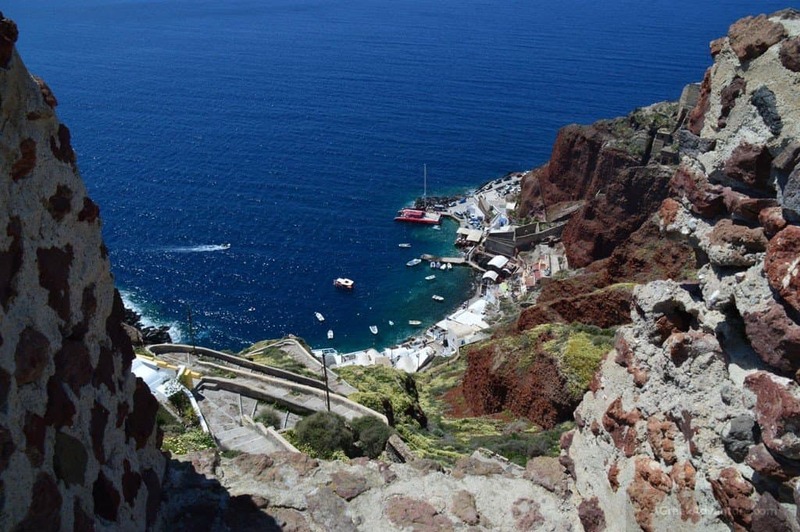 There are lots of places with great view, far less than of Imerovigli where the amazing view is usually experienced if you stay in a hotel at caldera. We stayed there and we will post another article for this. 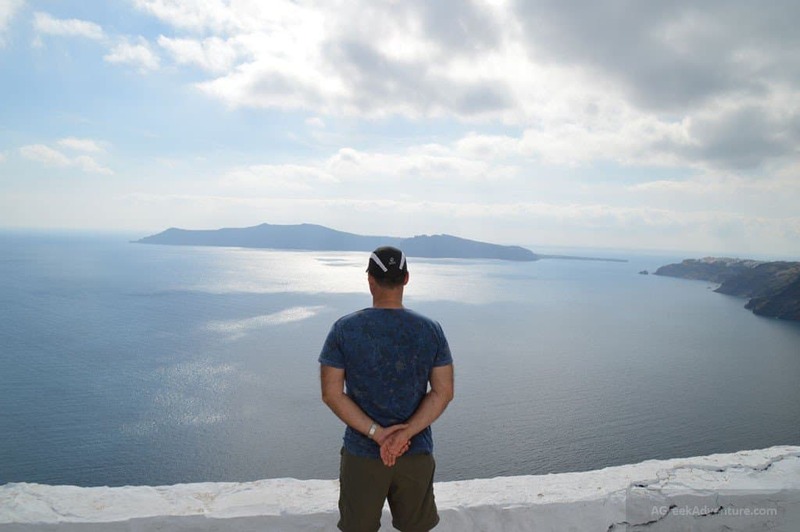 So, depending on your pace and time you can take your break in Oia or in Thira (depends from where you start). 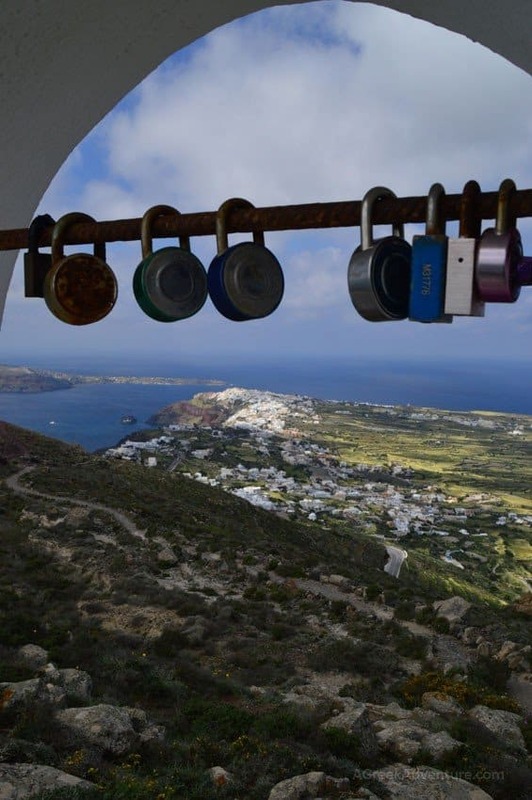 We preferred Oia, though in Thira you can stop for lunch or coffee at Firostefani. Also a location with a great view. We promise that this is very nice route. It is not the mountain/forest like ones. 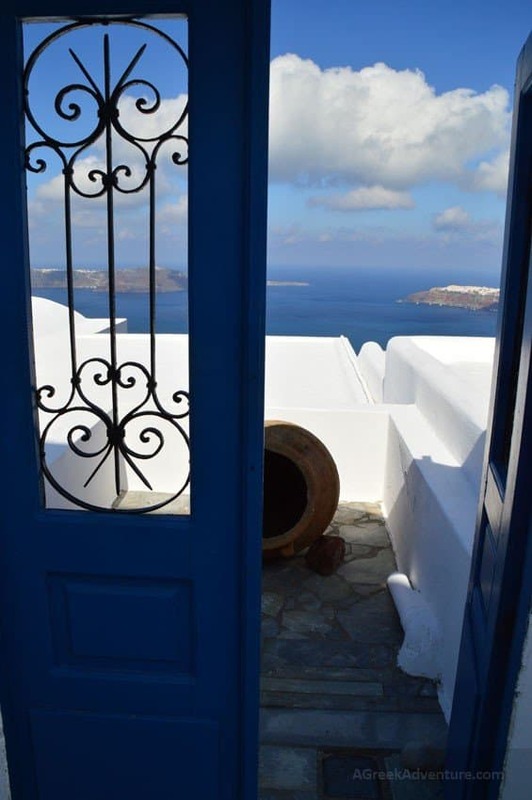 You are in Cyclades, so things are different. 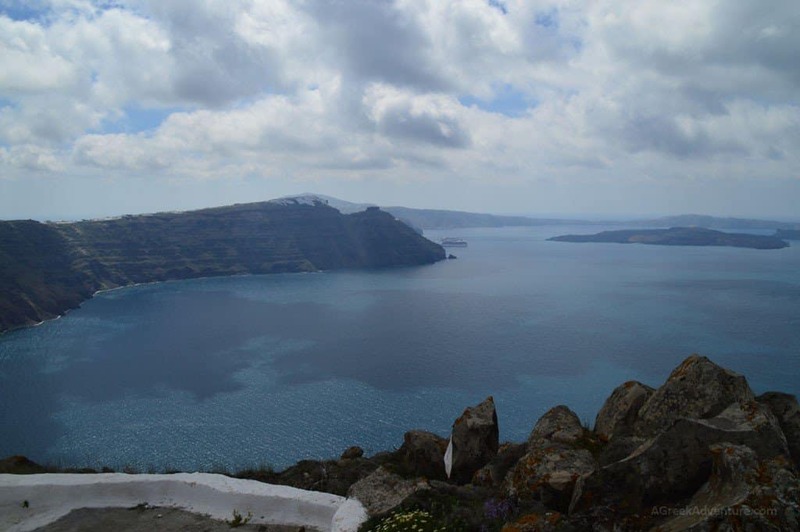 The views will enchant you and you will have tons of “postcard” pictures to take back. Here is the other path we mentioned (from the right side of the hill). Here is the sign for the small chapel of Saint Anthony. Don’t miss it. 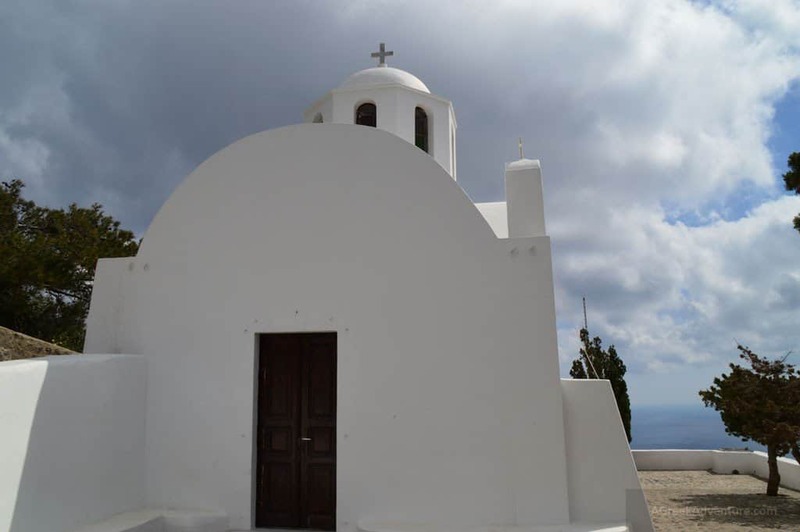 The chapel in blue and white Cycladic colors. You can just sit here and enjoy this spectacular view. Here is how it looks from above. At the far end is Imerovigli. Sun goes down as we are back to our hotel in Imerovigli. 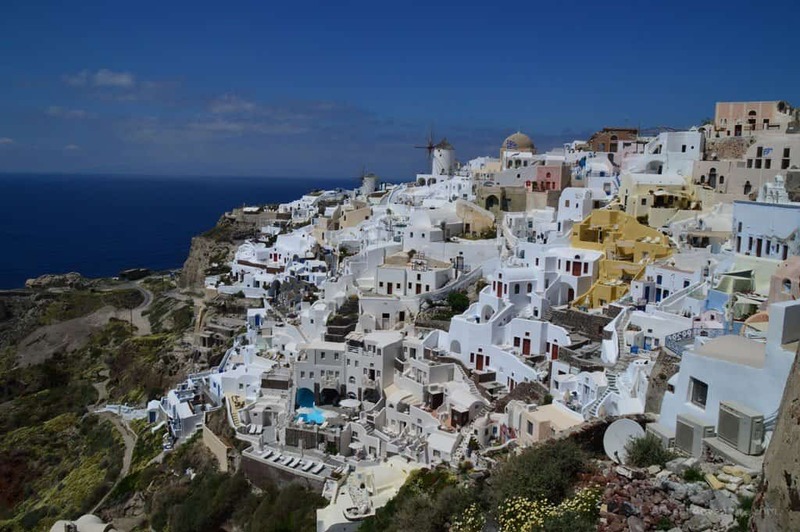 Seems any picture taken in Santorini Greece is “doomed” to look great. 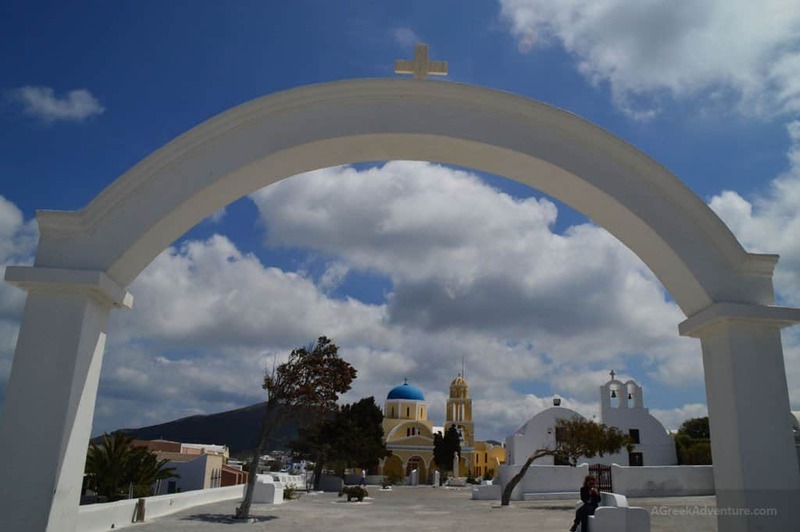 It is the sun, architecture and contrast of white with blue that give back spectacular results. 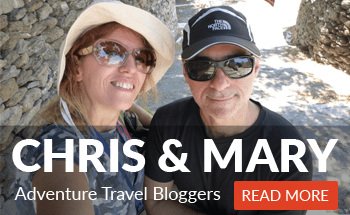 Have you been in Thira Greece or heard of this Greek island? If so, please share your opinion. 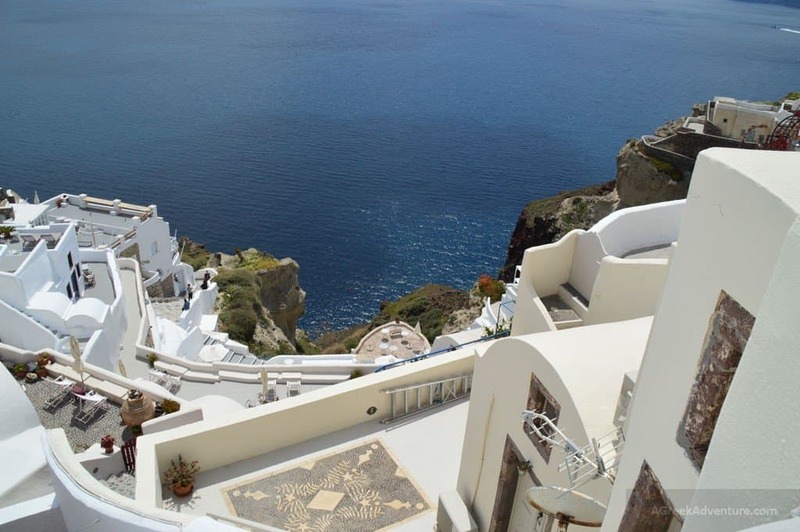 Check our other posts for Santorini from here.